The Lotka-Volterra model is a classic system dynamics predator-prey model that will achieve equilibrium. As the predator population rises, prey population falls, leading to the fall of the predator population and maintaining the equilibrium of the system. In this model, prey and predators are represented as stocks. The Prey stock has flows for births and deaths, while the Predator stock has flows for eating and deaths. This model contains a submodel “Lotka-Volterra Chip” with 6 inputs that control initial stock values, prey births and deaths, and predator eating and deaths. Each of the submodel inputs can be adjusted using sliders. 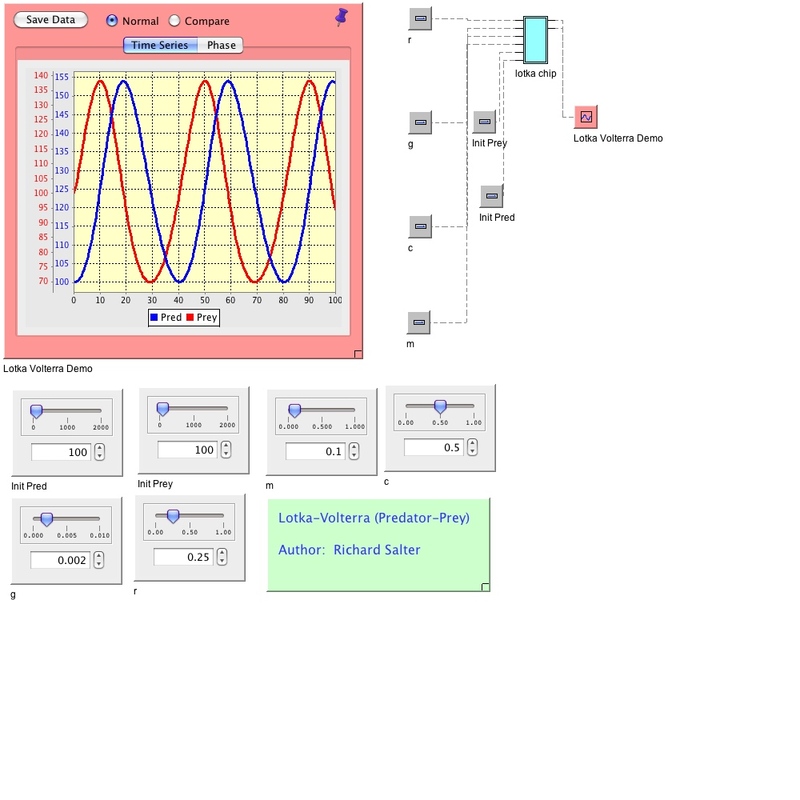 The predator-prey outputs are shown on two graphs, one that shows the periodic values over time and a second that shows the phase shift.